Ok Yall here is recipe number 5 for the Dog Days of Summer recipe challenge. This is one of my puppies favorites. 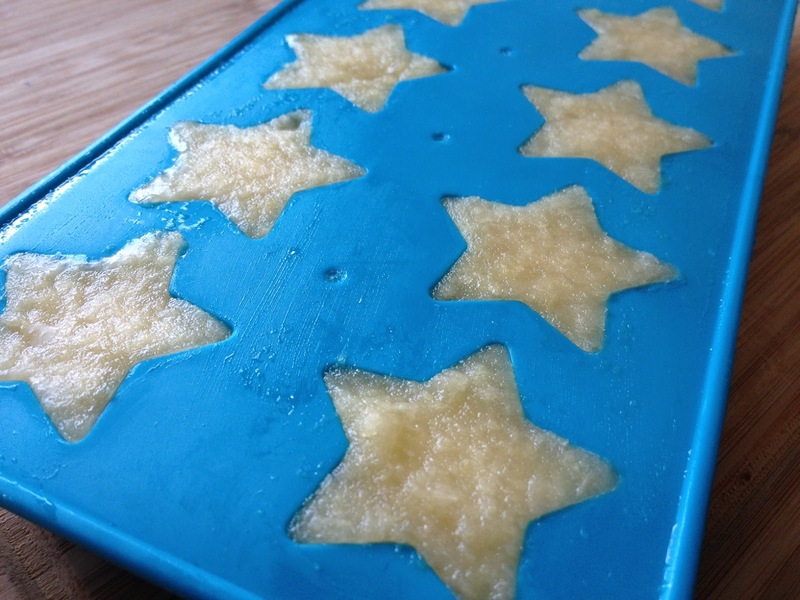 They love apples and these applesauce treats are no exception! This technique is exactly like the one for the Yogurt Cubes. 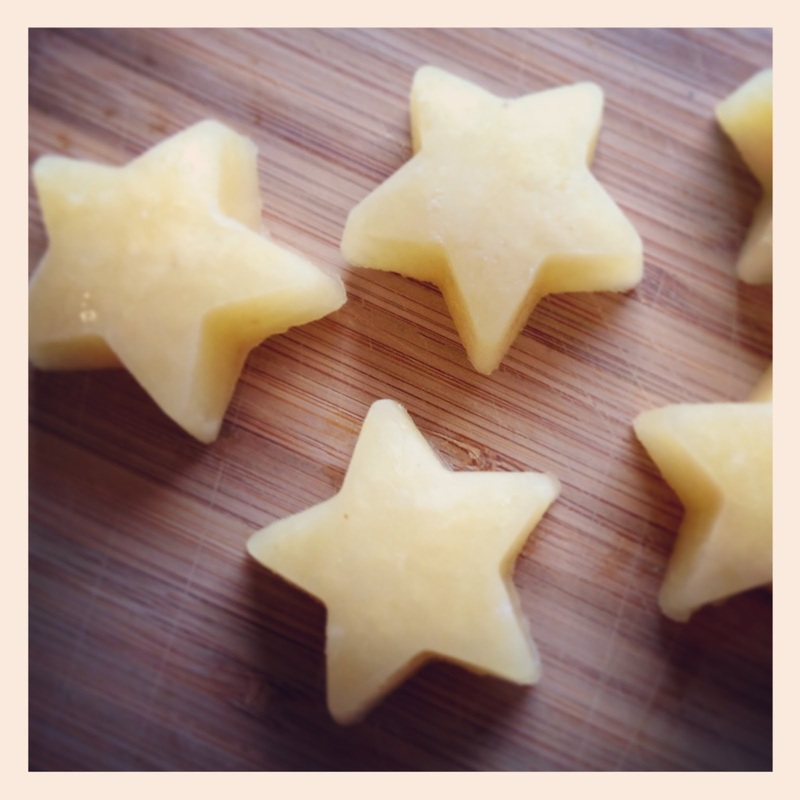 Start off by stirring up you applesauce and adding a spoon full of applesauce into each shape or cube. This one got a little messy! What you will do next is shake the tray and tap it lightly on the counter to let all the sauce settle into the shapes and to get rid of all the air bubbles. Once you do this you may find that some shapes need a little more sauce in them. Now, get your butter knife or your angled spatula and scrape off the extra sauce. Once that is done you can pop them into the freezer for a few hours and let them firm up. 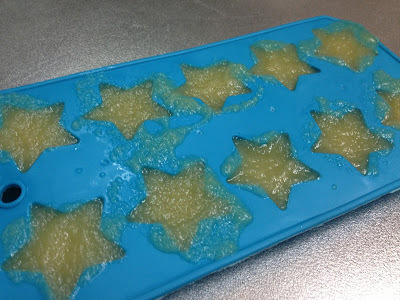 Once frozen, they come out looking like this. 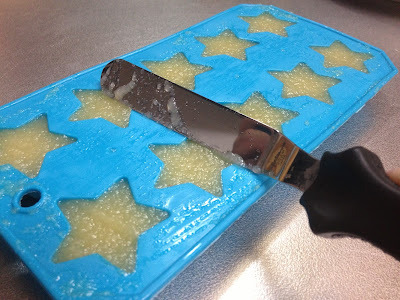 You can store them in the ice tray if you like, but if you are limited on space in your freezer like me you can put them in a zip lock until your pups are ready for more. And there you have it. Simple, quick and cheap! Ok yall, We are not done yet! 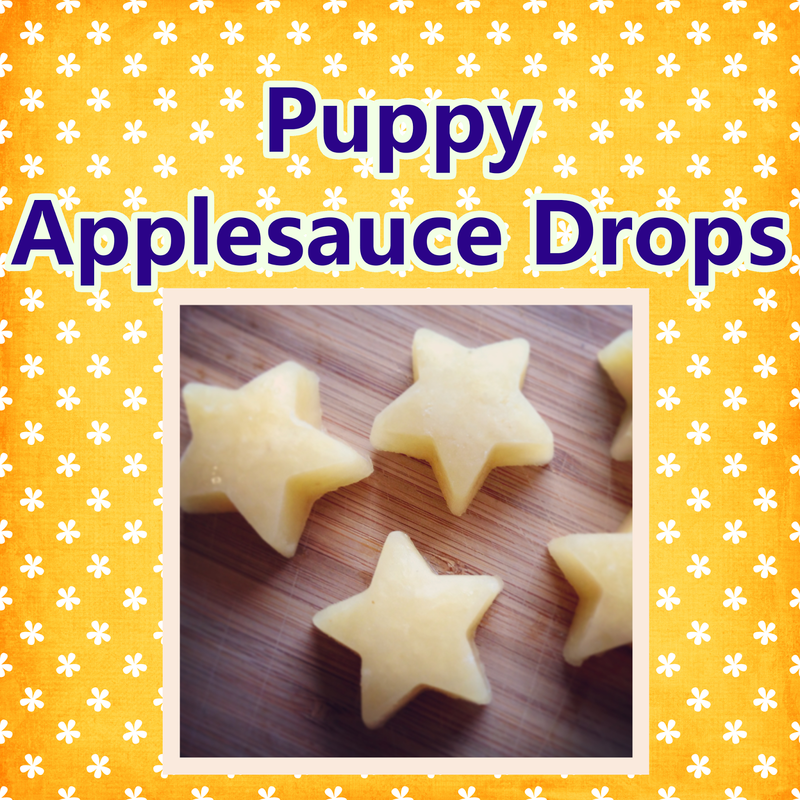 There is one more recipe I would like to share before we close out our Dog Days of Summer recipe challenge so stick with us!